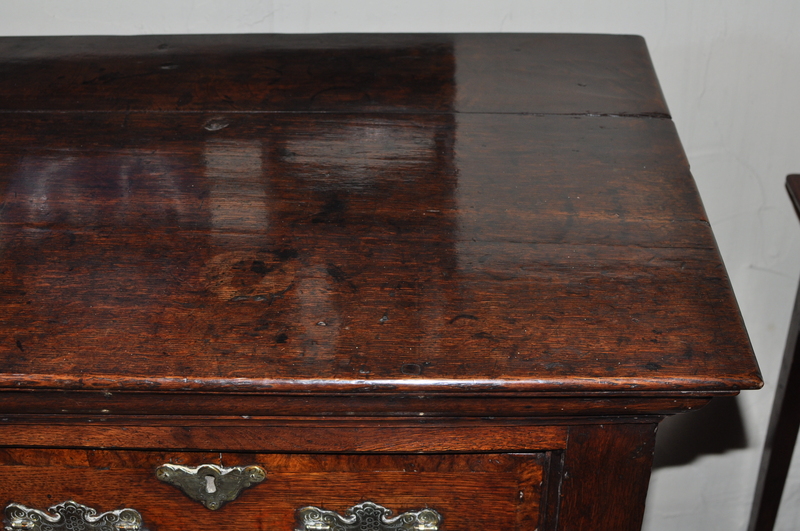 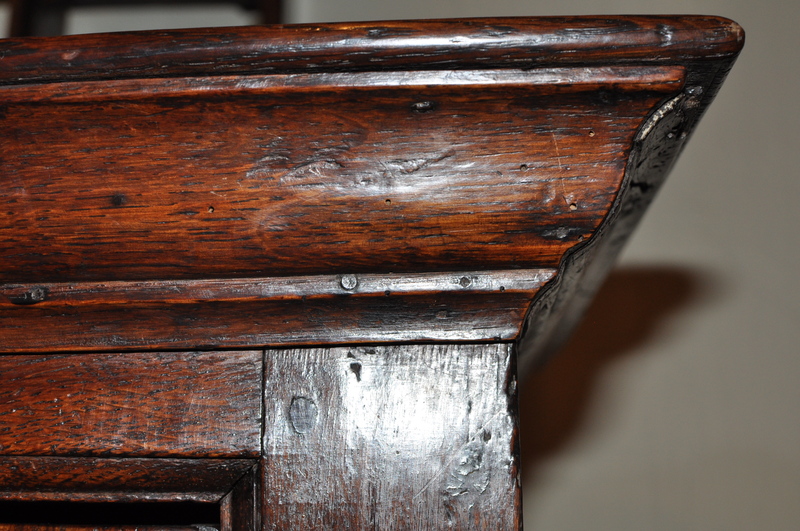 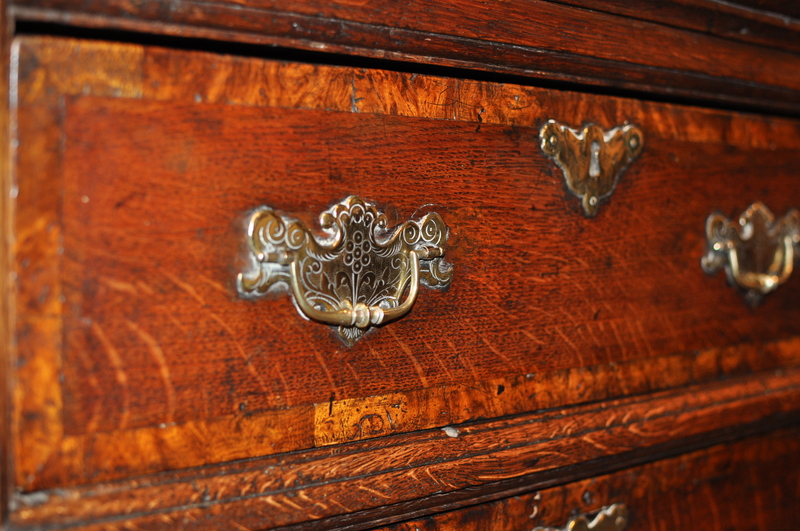 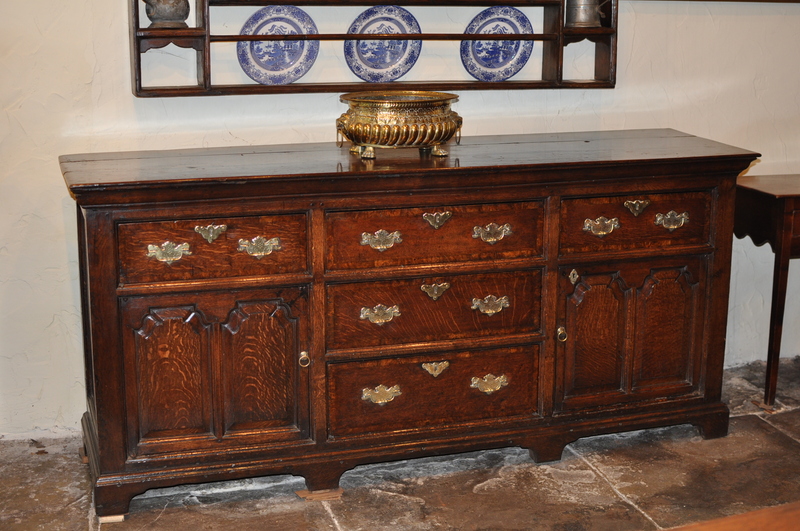 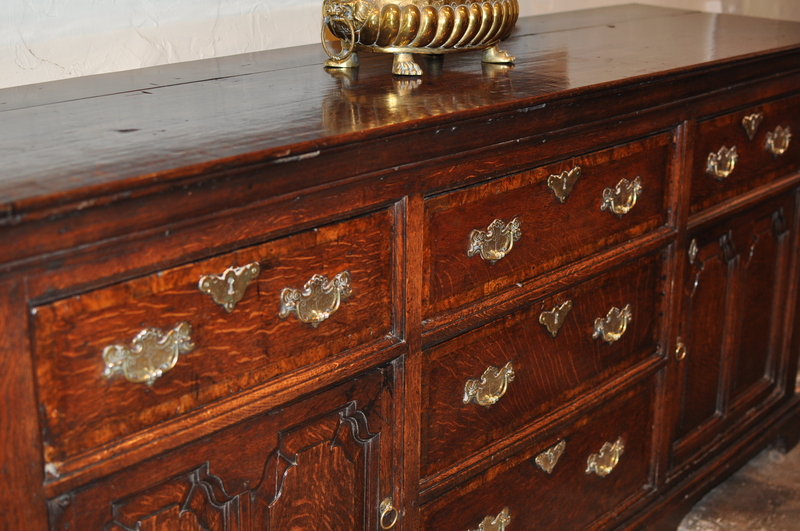 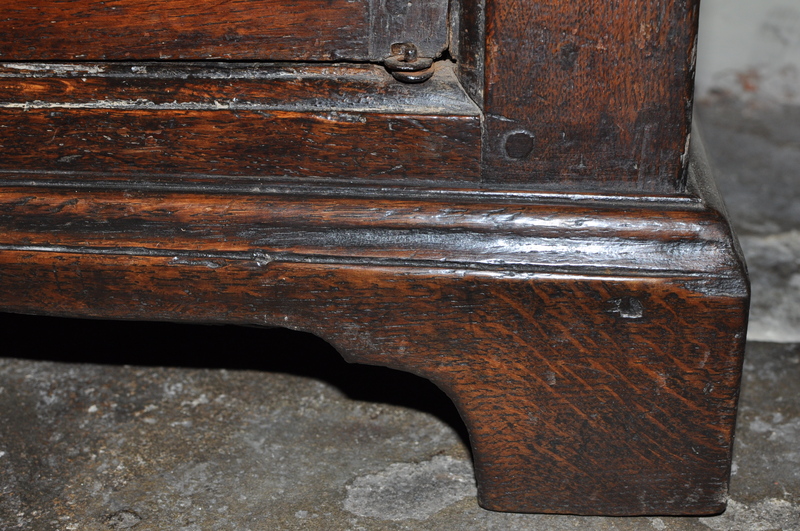 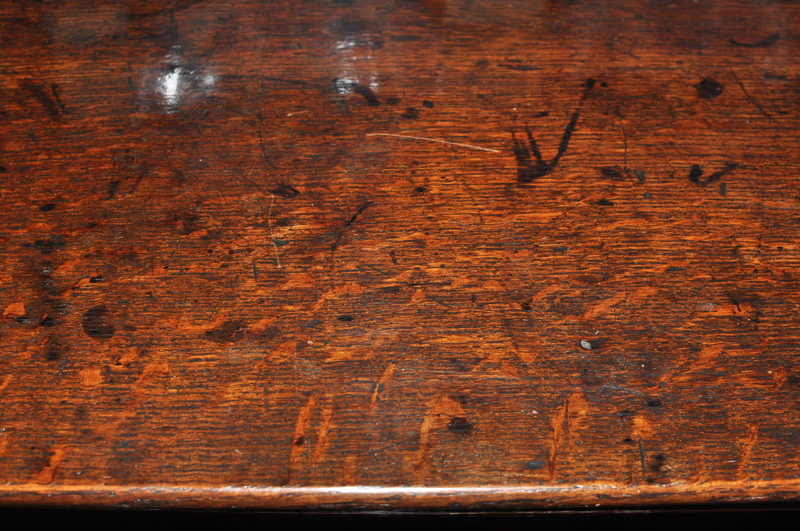 Early 18th century figured oak dresser of excellent proportions. 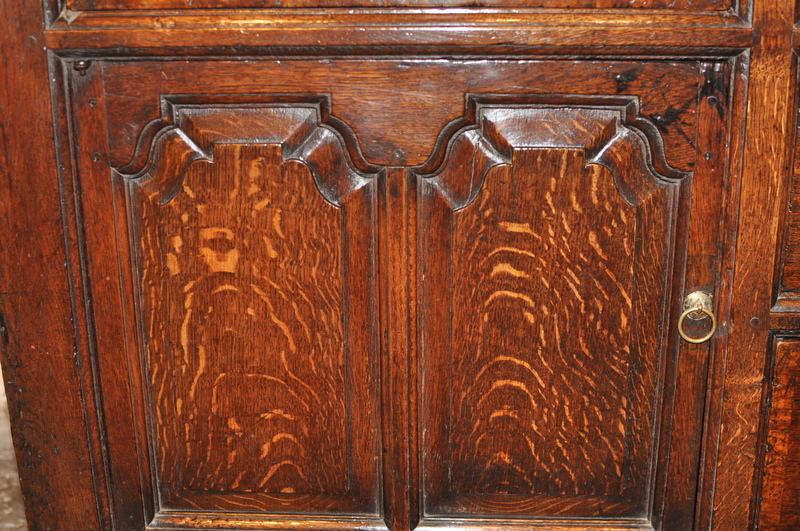 The draws are cross-banded in burr oak. 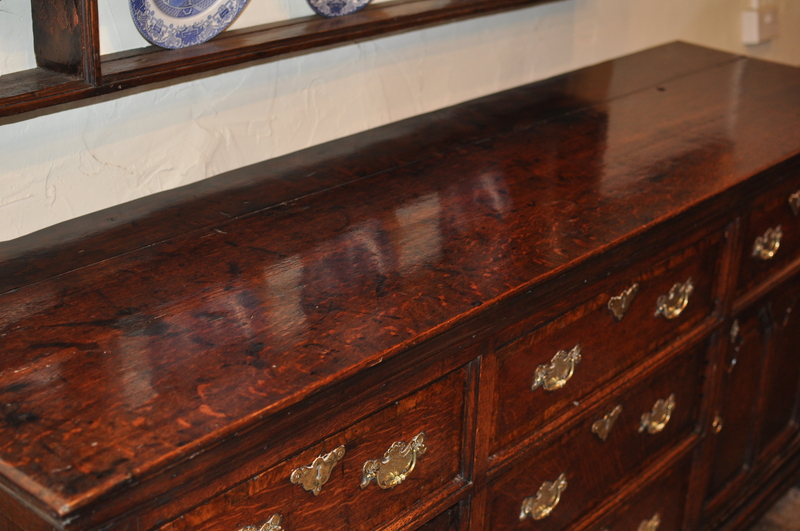 The piece is a superb rich warm colour. 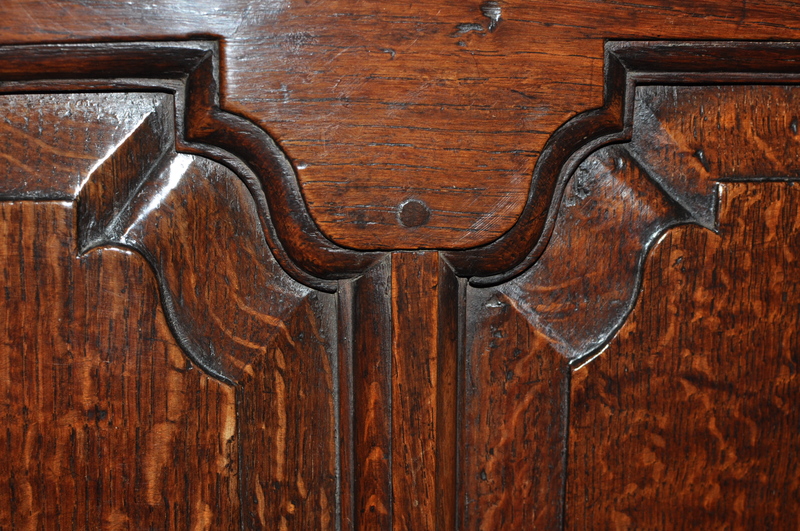 A really nice feature is the double O.G fielded paneled doors that retain their original pin hinges.